Sometimes part of the fun of planning a holiday is to come up with excuses for the destination. For me, I have mastered this art to a new level: a weekend break in Ludlow in Shropshire has turned into a 10-day long holiday, including a “detour” of over 200 miles to Rock in Cornwall. 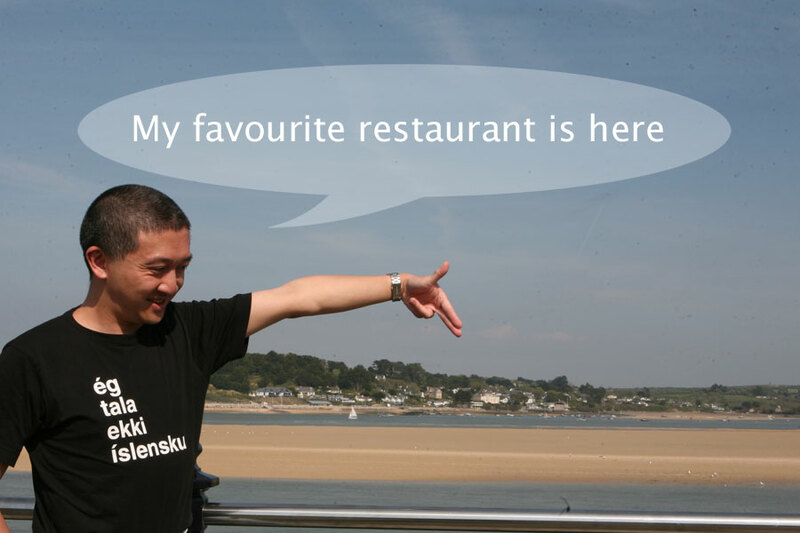 This year I decided a two-night stay in Rock would be a good idea – with both evening meals at Restaurant Nathan Outlaw. Last year when we went there for one night, the only thing in Rock that we manage to visit was Restaurant Nathan Outlaw, which had opened for merely a month and was still finding its feet in the new venue of St Enodoc Hotel at that point. 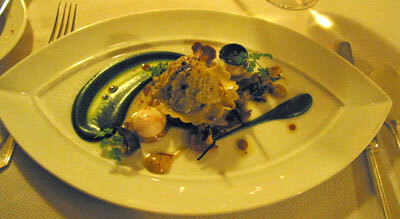 Within a week of sorting out my reservation of two dinners at the restaurant (it was that good last year that one dinner would simply feel too much of a wasted effort to travel all the way there) and the stay at the newly-refurbished hotel, the restaurant was awarded two Michelin stars. It was a good sign and it was just what I had expected. Now that I have been to the restaurant a few times and got to know the staff a bit, it felt like going to visit old friends rather than just a visit to a restaurant. The service was friendly and informal, and it was nice to see that they were not trying to cram in more seats – the restaurant still felt spacious enough that each table still had its privacy. As the restaurant only offers one single set menu these days (which was a wise move given the capacity), I was concerned about dining on two consecutive evenings in the same place. However, I was assured that I would get a different menu on the second evening. 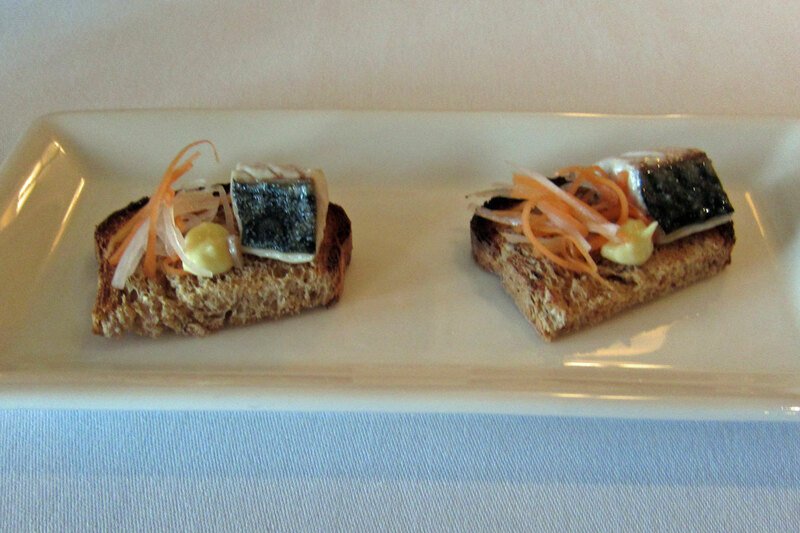 The amuse-bouche was mackerel with horseradish salad and wholegrain bread – it was an impressive start: a deliciously moist piece of fish. 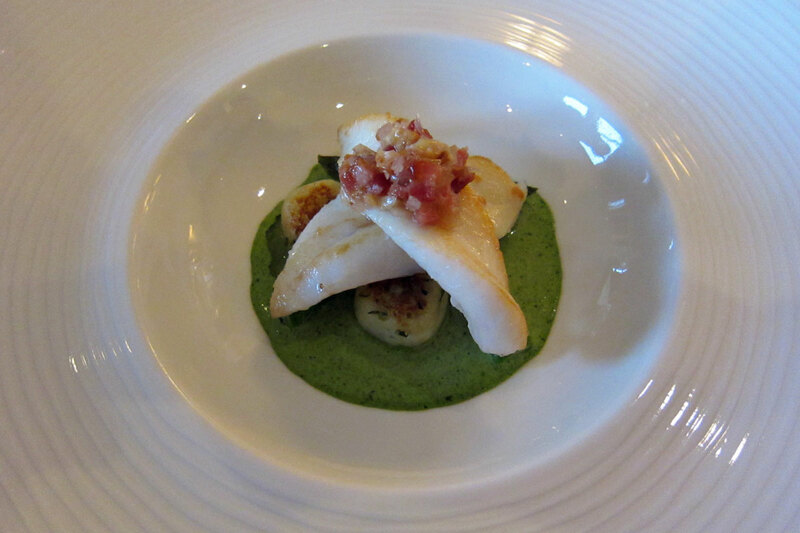 The first course was John Dory with tarragon, St Enodoc asparagus, bacon and hazelnut: the fish was firm and beautifully cooked, and the tarragon sauce was bold without overpowering the flavour of the fish. 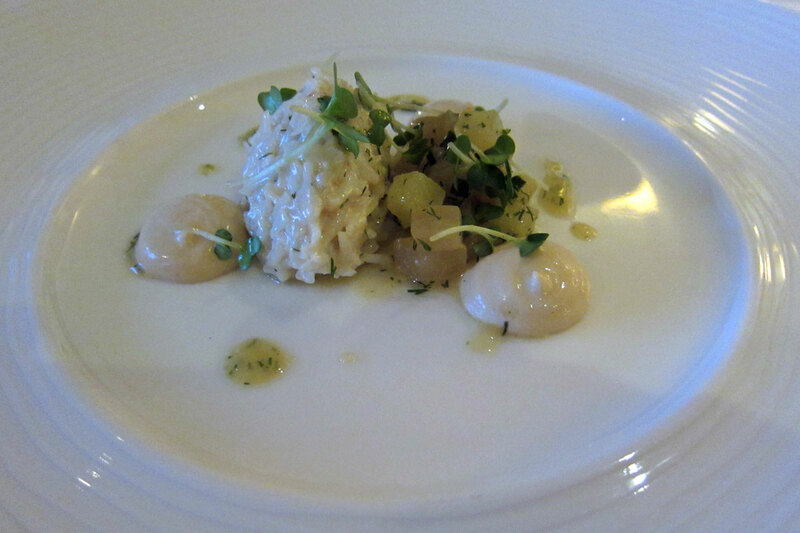 The next course was crab salad with apple and fennel. Crab was one of my favourite seafood. The crab here was fresh and cooked nicely (anything less than that, I’d have thought “what a waste of food”). 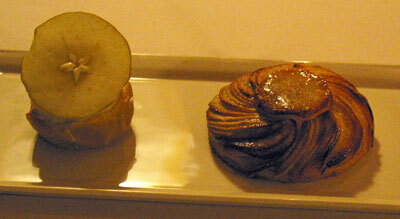 The combination of the apple and crab pate worked well in this very refreshing dish. 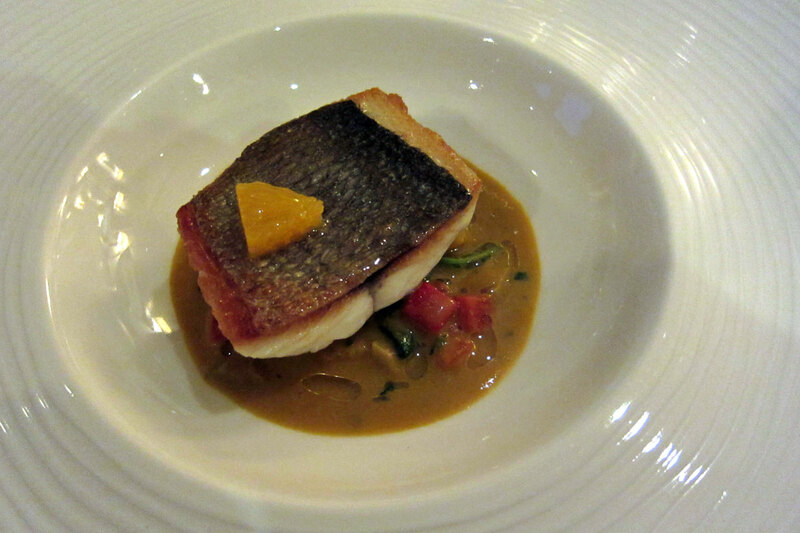 The third course was bream with saffron, mussels, olives and pepper. These ingredients produced a rather bold but refined bouillabaisse flavour. It was as if I was suddenly transported to the south of France. 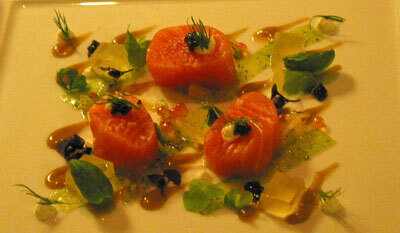 Another impressive dish. 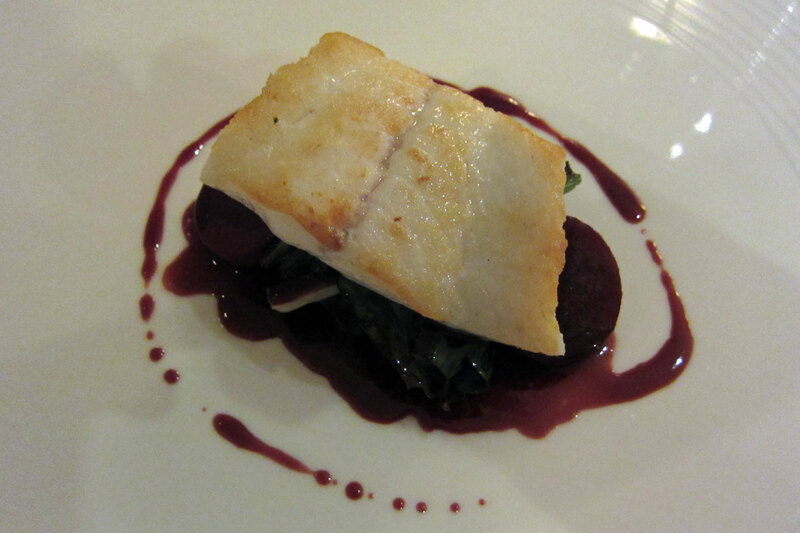 The “main” course was turbot with lamb belly, beetroot and rosemary. As it’s lamb belly, the dish had a rather strong smell which could be problematic for some people if they did not know the strength of that smell. But for me, it’s not a problem. I thought that the lamb belly would overpower all the other flavours of the dish, but to my surprise it provided a nice balance to the sweetness of the beetroot discs and jus, and the flavour of the turbot was not buried underneath all these other flavours. 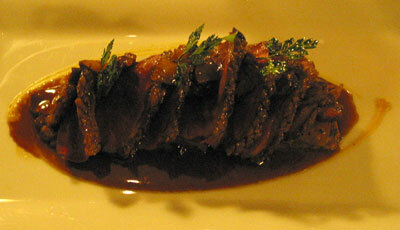 Another well-executed dish. After such a flavoursome main course, it would be hard to find something to cleanse the palate sufficiently for the desserts. 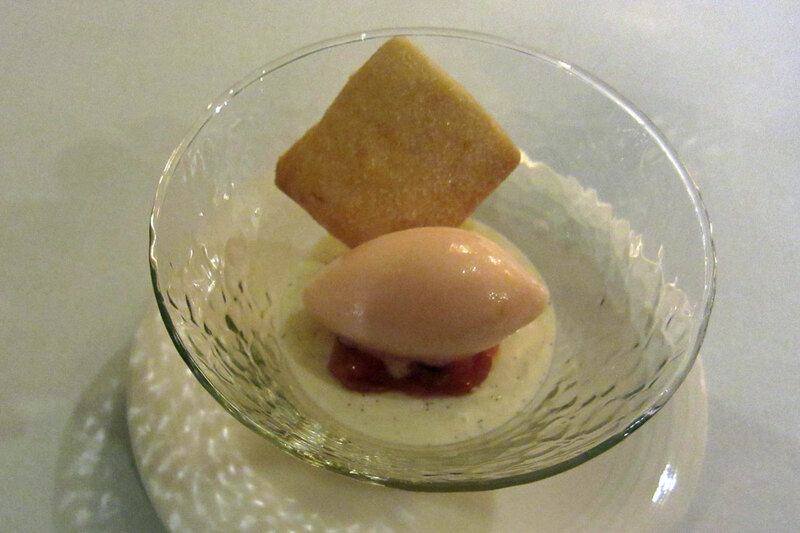 But here it was: Rhubarb jelly with vanilla cream, rhubarb and ginger sorbet. 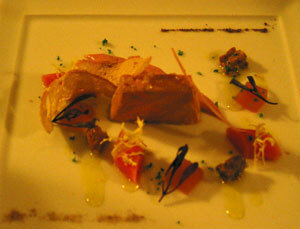 It was a light pre-dessert, with the rhubarb pieces not too sharp or overpowering. I usually would not go for ginger biscuit but this one had a nice clean taste to it without being too much of the ginger taste lingering afterwards. All the ingredients just worked very well together. 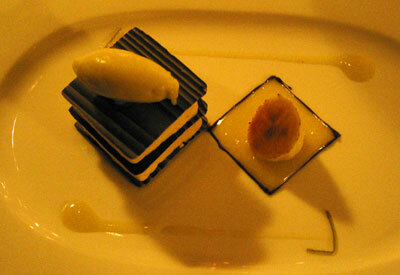 The dessert was chocolate orange cheesecake with orange-yoghurt sorbet, cocoa syrup and orange curd. If there’s anything I did not like about this meal, it would have been the use of milk chocolate but that’s more a personal preference of dark chocolate and I thought the taste of milk chocolate was a bit wishy-washy and might have worked better with a darker chocolate which would give a stronger body of flavour. 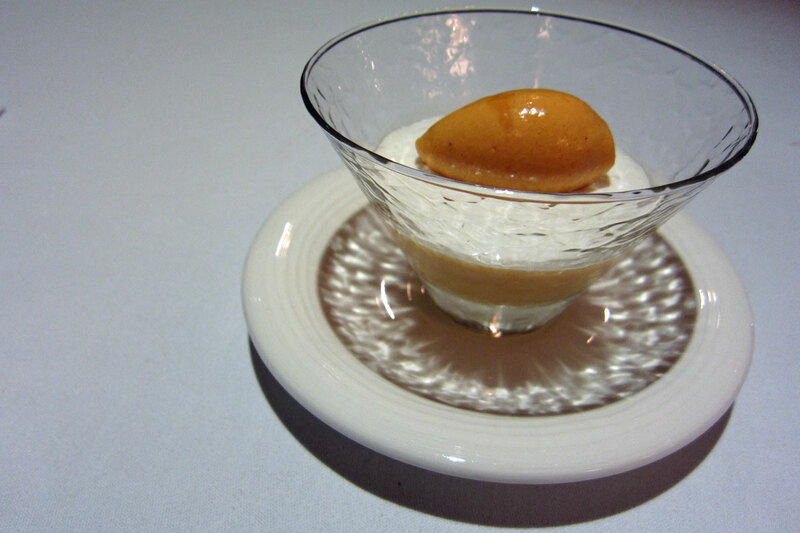 However, the orange curd and sorbet were delicious. For the second evening, we had a different menu. 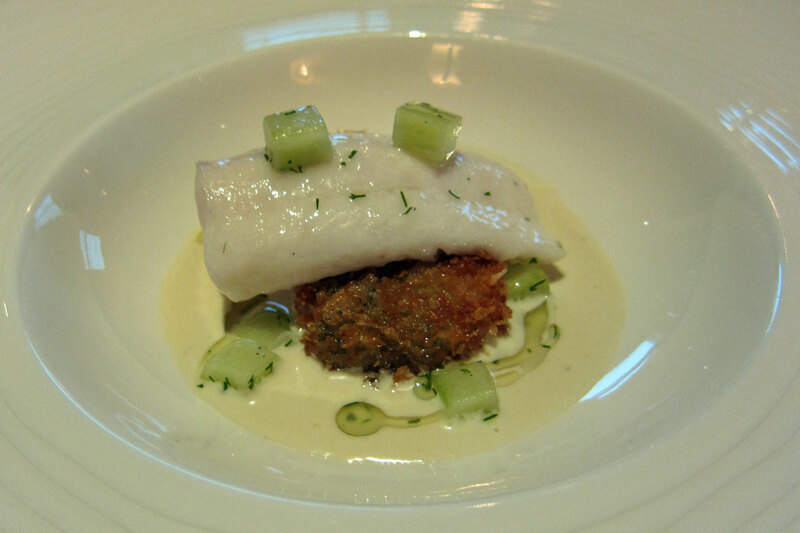 The first course was lemon sole with crispy oyster, cucumber and dill. As usual, the fish was cooked to perfection – at this point I must say I’d expect nothing less than perfection really on the fish-cooking front. The sauce had a flavour that was a cross between mayonnaise and tartare sauce, and it went well with the fish and the oyster. If there’s anything I had to nitpick on this dish, it would have been the batter of the oyster – I thought it might have worked better with a lighter batter. The second course that arrived at our table won hands down on the colour alone: Bream with beetroot barley. 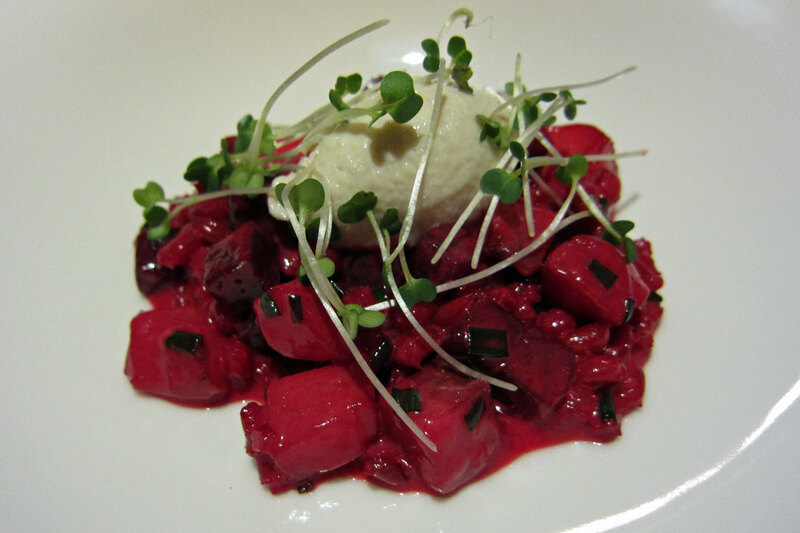 The vibrant maroon red colour of the beetroot was stunning on a white plate. Often at many places the beetroot would have such a vinegary taste that it would ruin the rest of the ingredients, but not here – the beetroot had sufficient flavour without overpowering the fish. The smoked bream pate on top of the beetroot and parsley had a nice flavour, and the these two main ingredients provided an unforgettable mixture of texture and taste. 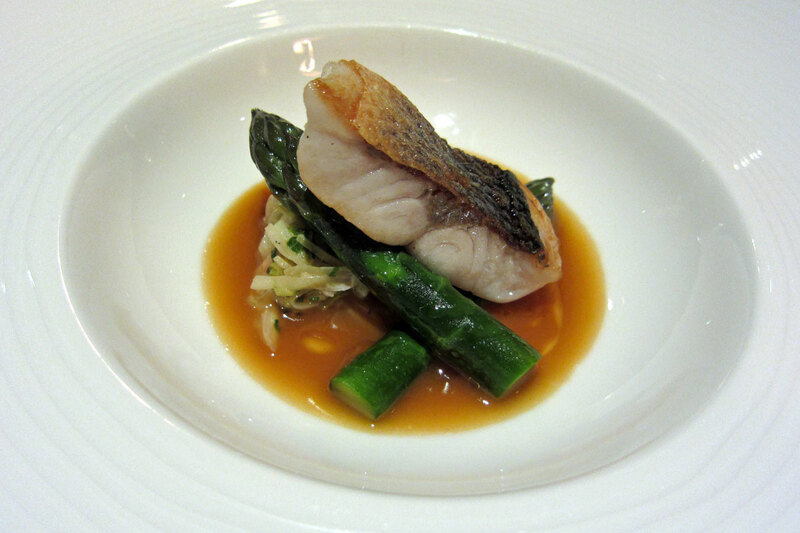 The third course was sea bass, brown shrimps and shellfish sauce. Often I’d get very frustrated with people overcooking the seabass, to the point where the flesh of the fish would just disintegrate at the slightest touch. Here, the cooking was once again impossible to fault. 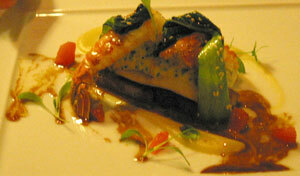 The shellfish sauce was sweet and provided an interesting extra dimension to the dish. 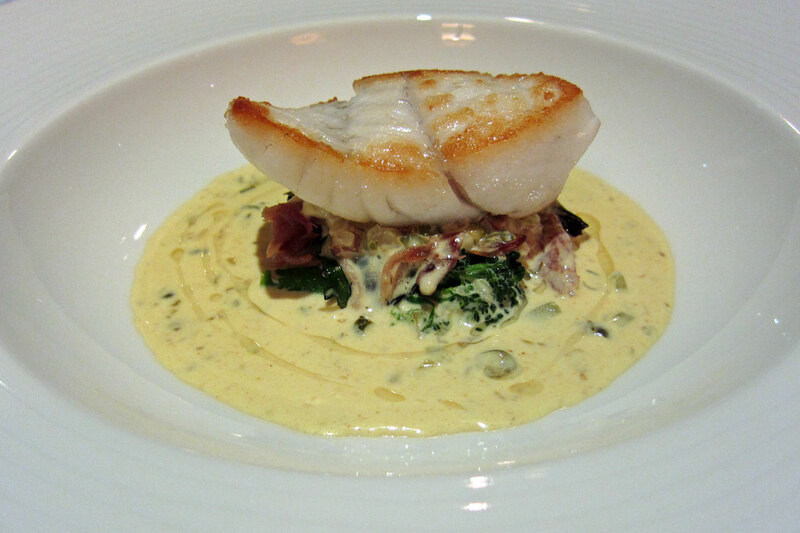 The main course was turbot with piccalilli sauce and ham hock – again a combination of flavours and texture that worked perfectly together: the freshness of the fish came through in the middle of the saltiness of the ham hock and the vinegar flavour of the piccalilli. 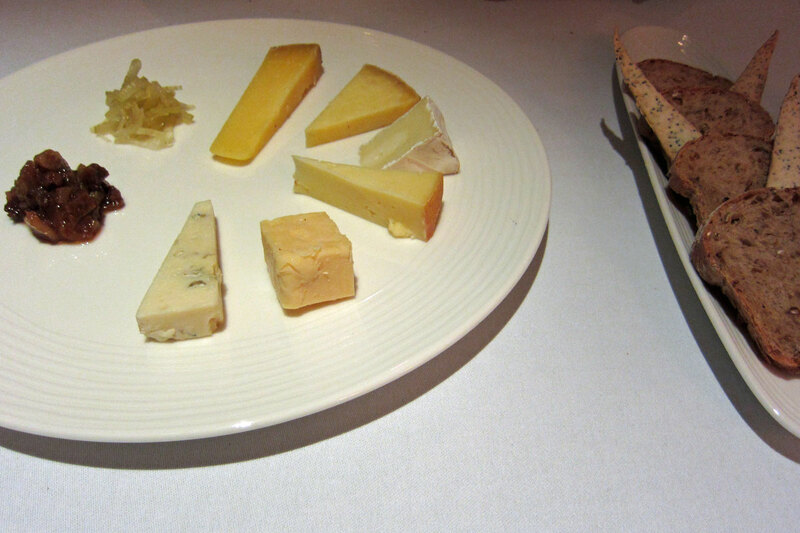 As we enjoyed the meal so much, we decided to just be a bit greedy and added the cheese course. We had a selection of six cheeses: Wyfe of Bath, Stratton Belle, Tunworth, Keltic Gold, Davidstow ‘3 Year Old’ Crackler, Beenleigh. 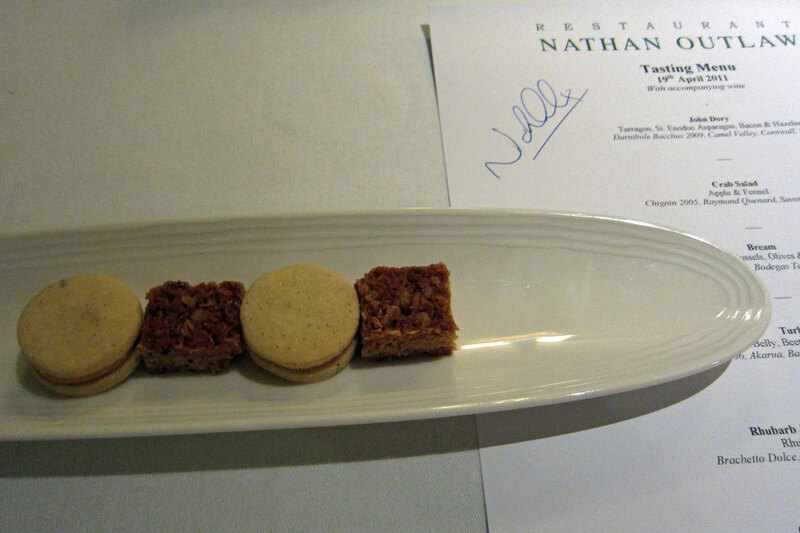 I must admit when I saw the menu, I was not looking forward to the pre-dessert of Sea buckthorn cream and sorbet. Maybe it was a bad experience I had with sea buckthorn elsewhere the year before. But the concern was totally unfounded – this dish was so nice that I could easily have had another one without any problem. 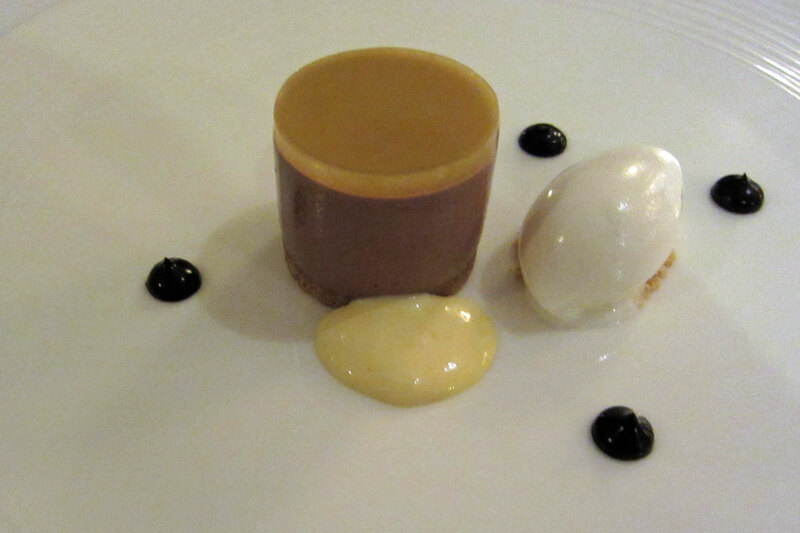 The ultra-smooth sea buckthorn cream and sorbet were refreshing and light. It was a truly pleasant surprise. 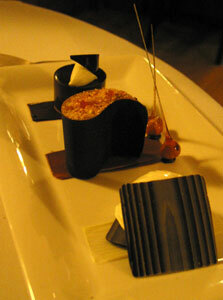 The dessert was chocolate sponge, with coffee syrup and vanilla ice-cream. 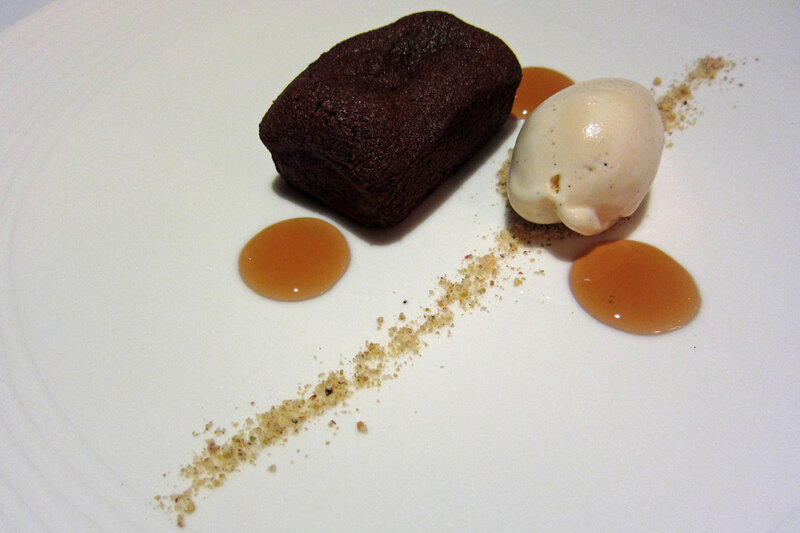 This was a variation of chocolate fondant with a smooth ice-cream. The syrup had a nice sweet flavour. Once again the meal finished on a high note. Both dinners were exceptional, but if I really had to choose, the second dinner had a slight winning edge – it was probably the best meal I’ve had in the past 12 months also (and this was reflected in the perfect score). Considering the size of the kitchen and the number of staff, it was impressive that Nathan Outlaw managed to produce such a consistent set of dishes. If you are after really fancy elaborate cooking in the Heston Blumenthal or John Campbell style, you won’t find it here. This is returning to the basics: good quality fresh food with simpler cooking style in order to let the ingredients speak for themselves. Nathan’s use of locally-sourced seafood coupled with flawless cooking has made this one of the best restaurants not just in the Southwest England, but in the whole of UK.